Governor Larry Hogan will attend the Maryland State Fair on Saturday, August 25–College Day at the Fair, the Maryland State Fair and Agricultural Society has announced. Governor Hogan will be on hand to award the trophies for the inaugural running of the $75,000 Timonium Distaff Stakes and present some of the nine $1,000 college scholarships that will be awarded by drawings throughout the day to pre-registered full-time college students in attendance. 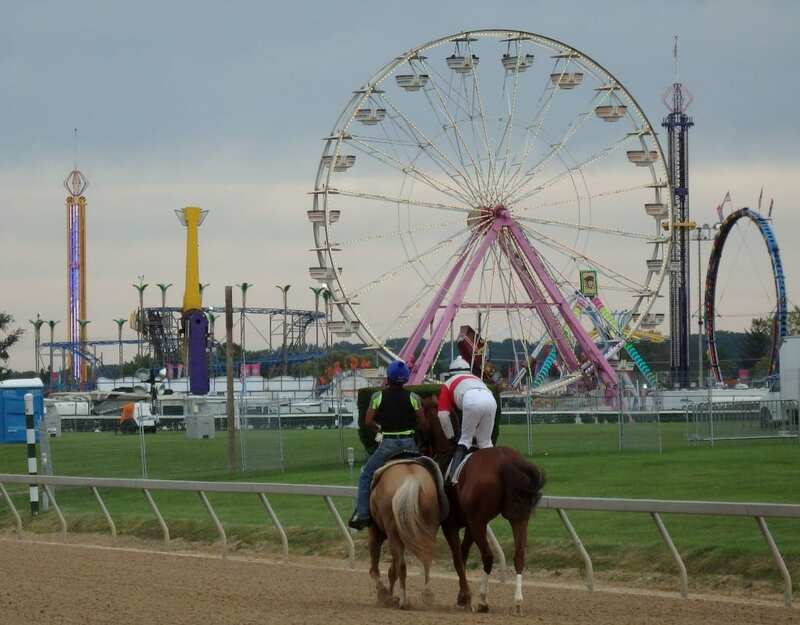 The Maryland State Fair Timonium race meet runs from August 24 through September 3. This year’s seven days of racing will offer purses of over $185,000 daily, plus two added money events: the inaugural running of the $75,000 guaranteed Timonium Distaff Stakes, for fillies and mares three and up going 6 ½ furlongs on August 25, and the September 1 Maryland Coalition Stakes for three-year-olds and up going 6 ½ furlongs with $75,000 guaranteed.